Dr. Jacobson is a Distinguished Professor and Associate Department Head in the Department of Experimental and Clinical Pharmacology in the College of Pharmacy, University of Minnesota and holds a joint appointment in the Medical School’s Division of Hematology, Oncology and Transplantation. She received her PharmD from the University of Nebraska and completed her residency training at the University of Michigan. She was faculty at the University of Michigan, College of Pharmacy, joining the University of Minnesota in 1998. Jacobson is a clinical pharmacologist where her research focuses on the clinical pharmacology of immune suppressants and anticancer agents. Specifically she studies how genetic variation influences drug pharmacokinetics, pharmacodynamics, efficacy and toxicity. 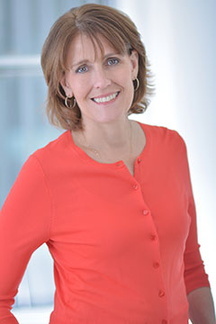 She directs the Institute of Personalized Medicine, is co-PI of the Minnesota Precision Medicine Collaborative, and is a member of the Masonic Cancer Center, University of Minnesota. Scheibner A*, Remmel R, Schladt D, Oetting WS, Guan W, Wu B, Dorr C, Israni A, Jacobson PA. Tacrolimus Elimination in Four Subjects with a CYP3A5*3/*3 CYP3A4*22/*22 Genotype. 2018, Pharmacotherapy. 2018 May 26. doi: 10.1002/phar.2131. Oetting WS, Wu B, Schladt DP, Guan W, Remmel RP, Mannon RB, Matas AJ, Israni AK, Jacobson PA. Genome wide association study of tacrolimus trough concentrations in Caucasian kidney allograft recipients show only common alleles in CYP3A4 and CYP3A5 are responsible for variation. Pharmacogenomics J. 2018 May 22;18(3):501-505. PMID: 29160300. Rozemarijn Snoek, Jessica van Setten, Brendan J. Keating , Ajay K. Israni MD, Pamala A. Jacobson, William S. Oetting, Arthur J. Matas, Rosalyn B. Mannon, Zhongyang Zhang, Weijia Zhang, Ke Hao, Barbara Murphy, Roman Reindl-Schwaighofer, Andreas Heinzl, Rainer Oberbauer, Ondrej Viklicky, Caragh Stapleton, Stephan J.L. Bakker, Harold Snieder, Edith D.J. Peters, Bert van der Zwaag, Nine V.A.M. Knoers, Martin H. de Borst, Albertien M. van Eerde. NPHP1 Gene Deletions Cause Adult Onset End Stage Renal Disease. J Am Soc Nephrol. 2018 Jun;29(6):1772-1779. PMID: 29654215. Okour M, Jacobson PA, Ahmed MA, Israni AK, Brundage RC. Mycophenolic acid (MPA) and its metabolites in kidney transplant recipients: a semi-mechanistic enterohepatic circulation model to improve estimating exposure. J Clin Pharmacol. 2018 May;58(5):628-639. PMID: 29329489. Casey R. Dorr, William S. Oetting, Pamala A. Jacobson, Ajay K. Israni. Genetics of Acute Rejection after Kidney Transplantation. Transplant Int. 2018:31:263-277. doi:10.1111/tri.13084. [PMID 28533324] Paper featured in Top News in the Society for Transplant Surgeons Newsletter. William S. Oetting, Casey Dorr, Rory P. Remmel, Arthur J. Matas, Ajay K. Israni, Pamala A. Jacobson. Concepts of Genomics in Kidney Transplantation (Review). Curr Transplant Rep. Jun 2017;2(4):116-123. doi: 10.1007/s40472-017-0153-x. Dorr CR*, Remmel RP, Muthusamy A, Fisher J, Moriarity B, Yasuda K, Wu B, Guan W, Schuetz EG, Oetting WS, Jacobson PA, Israni PA. CRISPR/Cas9 genetic modification of CYP3A5 *3 in HuH-7 human hepatocyte cell line leads to cell lines with increased midazolam and tacrolimus metabolism. Drug Metabolism and Disposition, August 2017, 45 (8) 957-965. DOI: https://doi.org/10.1124/dmd.117.076307. Received Gillette award for best paper of the year. McCune JS, Jacobson P, Wiseman A*, Militano O. Optimizing drug therapy in pediatric SCT: focus on pharmacokinetics. Bone Marrow Transplant. 2015 Feb;50(2):165-72. Epub 2014 Oct 27. (PMID 2537008). Abecassis M, Bridges ND, Clancy CJ, Dew MA, Eldadah B, Englesbe MJ, Flessner MF, Frank JC, Friedewald J, Gill J, Gries C, Halter JB, Hartmann EL, Hazzard WR, Horne FM, Hosenpud J, Jacobson P, Kasiske BL, Lake J, Loomba R, Malani PN, Moore TM, Murray A, Nguyen MH, Powe NR, Reese PP, Reynolds H, Samaniego MD, Schmader KE, Segev DL, Shah AS, Singer LG, Sosa JA, Stewart ZA, Tan JC, Williams WW, Zaas DW, High KP. Workshop Proceedings. Solid Organ Transplantation in Older Adults: Current Status and Future Research. Summarized the Workshop held on January 23-24, 2012. Am J Transplant. 2012 Oct;12(10):2608-22. (PMID:22958872, PMCID:PMC3459231). Jacobson PA, Schladt D, Leduc R, Guan W, Matas AJ, Lamba V, Mannon RB, Julian BA, Israni A; for the DEKAF investigators. Reply to "genetic determinants of mycophenolate-related anemia and leukopenia after transplantation. Transplantation. 2012 Mar 27;93(6):624-31.